Knowing where to find the information that you need and having the confidence that you can find the answers to your trading questions could be very helpful with your day-to-day trading. Use these comprehensive Forex Trading FAQs to learn all the basics as well as the more advanced topics in forex trading. We’ve covered the lot from how to open a forex trading account to how to use the MT4 trading platform, Forex trading system and more. So, whether you’re new to trading FX or you have several years of experience trading currencies, you will find a lot of useful information in these FAQs. Below you will find an extensive list of answers to your Forex trading questions. How long does it take to open a live account with you? We aim to respond to all new account enquiries within a 24 hour period. You will enjoy tighter spreads with a GO Plus+ account. However there will be a commission for every trade you place on a GO Plus+ account. What account base currency can I hold my funds in? You can have one of the following: ­AUD, USD, GBP, EUR, NZD, SGD,CHF,CAD and HKD. Please refer to our Client Wallet page for the list of acceptable deposit methods. Please login to your GO Markets Client Portal for the withdrawal procedures. How quickly do you process my withdrawal and how soon will I receive my funds? We aim to process all withdrawal requests received before 1pm AEST on the same day. Those withdrawals received after 1pm AEST will be processed the following day. While it largely depends on the receiving bank you are using, in general, local transfers may take 1-2 business days, and international transfers may take 3-5 days for your funds to be reflected on your account balance. The minimum deposit is $200 on Standard accounts or $500 on GO Plus+ accounts. Please refer to our Client Wallet or login to your GO Markets Client Portal for further details. Please email support@gomarkets.com and we will update your information for you. Please note that if you are updating your address details, we require a recent bank statement or utility bill which shows your new address. You can change your login details via your GO Markets Client Portal, alternatively you can do the same on your MetaTrader 4 trading platform. Click on Tools > Options and look for the Server tab. There is a Change button you can click on to change your master or investor passwords. I have lost my password, can you reset it for me? Sure. The Client Portal will provide the necessary steps to recover your trading account password. Alternatively, you can call in on +61 3 8566 7680 or send your full name, date of birth and address to support@gomarkets.com so that we can reset it. For security purposes, you will be required to provide some personal details to help verify your account. Yes. We are regulated by the Australian Investments and Security Commission (ASIC) and hold an Australian Financial Services Licence (AFSL) no: 254963. You can check our details on the professional registers page of the ASIC Connect website. No. CFTC regulation prevents US traders trading with non US brokers. Can I use your platform on my smart phones or tablets? Yes. There is also a MT4 app for Google Android and Apple IOS. You may search for Metatrader 4 on either Google Play or Apple App Store. Margin is the amount of money required in your account in order to open a trade. How do I calculate my FX margin requirement? Note: If the base currency of your account is not in USD, this amount can simply be converted into the corresponding currency AUD, GBP, NZD etc. Since margin is essentially the collateral required in order to open a trade, if the market moves against a client’s position and your overall account equity is reduced, then you may not have sufficient funds available to maintain this position. If your Equity (Balance – Open Profit/Loss) falls below 50% of the margin required to maintain an open position then the system will begin automatically closing the largest losing position in an attempt to increase your equity. Our margin call and stop out levels are 80% and 50% respectively. Your account leverage is the multiplier of your ability buy a larger volume of currency, and will determine how much margin is required for you to open a position. If you have leverage of 300:1, you can control a large position ($150,000) with a small amount of margin ($500). What is the maximum leverage I can have? The maximum leverage is currently 500:1. Where are the swap rates located? Go to the market watch area, right click and choose symbols. Click on the properties for a particular trading symbol and it will give you all details including the swap rates. Why are FX swaps tripled on a Wednesday? If you hold a position overnight on a Wednesday, the financing (Swap) charge is multiplied by three (3) times. This accounts for the settlement of your open position(s) for the proceeding weekend. The financing charge is also affected by public holidays. Why is my order close price different to the Take Profit or Stop Loss I set? Take profit and stop losses are classed as pending orders. Unfortunately, it may not always be possible to fill these orders at the desired levels due to price volatility or unforeseen market events. Once triggered, pending orders then become market orders and subjected to whatever market liquidity is available at that time. Where do you get all your prices from? Our pricing is derived from top tier liquidity providers who stream prices to our platform. How do the charts on MT4 work? 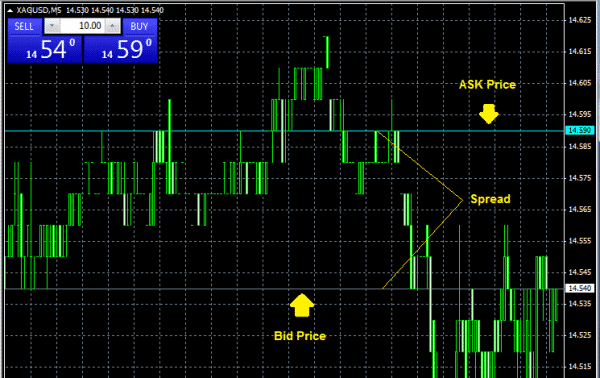 MT4 always uses Bid price to construct the chart in all available periods. What is the chart time you set on your platform and can I change it? Our platform or chart time is set to GMT+3. It cannot be changed on your MT4. I had a short position and the chart price appeared to reach my Take Profit but it did not trigger. Why? The MT4 chart will display the BID price by default which is the (SELL) price. When you enter a short position, in order for you to close this trade you need to (BUY) or go long. Therefore, the ASK price or BUY price is required which is not reflected on the chart. Another way to think of this is the BID price or chart price plus the spread. Can I trade using EAs (Expert Advisors) or trading robots with the platform? Yes. You can use EAs (Expert Advisors) available from third party providers. As GO Markets is not associated with any of these providers, we cannot provide additional support for these automated strategies and suggest you contact the source directly should you experience any difficulties related to settings or methodology. How can I include the ASK line to view the spread on the chart? Press F8 on the keyboard, select the “Common” tab and make sure the “Show Ask line” box is checked. Select the “Colors” tab and make sure the ASK line colour is something bright such as Aqua in the example below. You should then see something like this below with both the BID and ASK price displayed in the example below. We have over 50 currency pairs on our platform and are still expanding the list from time to time. The best way to find out is to setup a demo platform – trial demo account. It takes less than 5 minutes. Yes, you can trade 0.01 lots on Forex. Do you prohibit any trading styles and how long do I at least have to hold a trade for? No, we do not prohibit any trading styles and you can open and close your positions as often as you like. Do you offer guaranteed stop loss? I’m not buying the physical share on a US exchange or a US resident, why are you withholding tax? The US internal Revenue Service (IRS) mandate that holders of US equity derivates (which include US CFD shares) are taxed in accordance with Section 871(m) of the US Tax Code. What is the rate in which tax is withheld? The rate varies and depends on the country in which you reside. If you reside in a country that is subject to a tax treaty with the US, a rate of 15% is withheld. Non-tax treaty countries are subject to the highest rate of 30%. How do I get access to US CFD Shares? Depending on your circumstances, you will need to provide us with a W-8 or W-9 form. Are you getting 'OLD Version Error Code' on your MT4 Platform? Why can’t I login to my demo account? Our demo accounts last for 30 days. You won’t be able to access it once it expires. If you need to extend your trial before opening a live account with us, you can always register for another demo account. To do so, simply click on File > Open an Account on our MT4 platform and follow the prompts. Why do I see “No connection” or “Invalid Account” on my MT4 status bar? Most of the time, it simply means the platform is not able to log you in. You can click on File > Login to Trade Account. I don’t see some of the symbols, what do I do? If you don’t see the full list of symbols on Market Watch, right click on one of the symbols, and click Show All. Can I use your MT4 platform on my Mac computer? Yes. 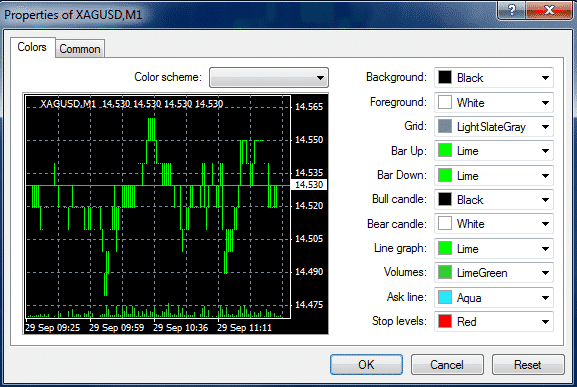 We packaged a Mac version MT4 with WINE for our traders to use. Why have I not received my trading statements? A daily statement is sent out if you have some trading activity on the previous day. You may also want to check your spam folder as sometimes they may be miscategorised by your email service provider. You can also consider adding our email address to your email whitelist. On your account history, right click on the display area or one of the closed trades, select the period you want. Once the records show, right click again and select ‘Save as Report’. Can I login to the same account from multiple devices at the same time? Yes, MT4 platform supports multiple login simultaneously to the same account. So you can leave your desktop MT4 logged on and sign in using your mobile phone while you are away. 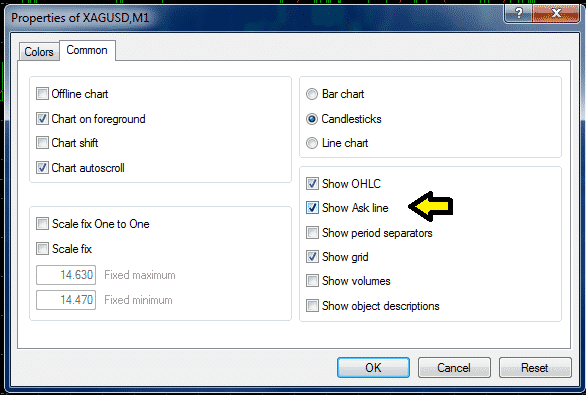 How do I install multiple instances of MT4 for my trading accounts? When you are running the installer, there is a Settings button on the same page of the licence agreement. Click on the button and rename the destination folder and continue. It will then install another copy of MT4 on your computer. How do I install my custom indicators and expert advisors? Click on File > Open Data Folder and open MQL4 folder. There are Experts and Indicators folders within it and you will need to copy the mq4 or ex4 files into their respective folder. Can I alter the time on my MT4 charts to reflect local time? No. The trading platform time is set by default and cannot be changed. It may be possible to obtain local time indicators directly from the MetaQuotes community. How do I update my platform? The update is done automatically whenever there is a new build released by Metaquotes. All you need to do is allow the program to make changes to your computer when it starts up. You may also try running it as administrator to grant the program sufficient access level to perform any update. We have trading servers located in London.